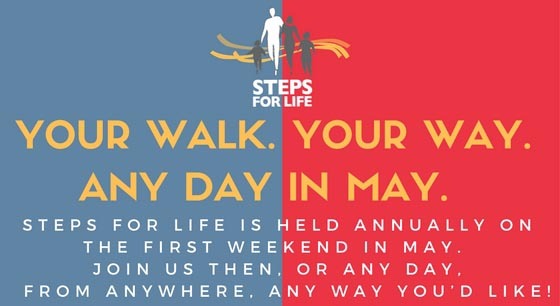 If we don't have an official walk location in your community, or you can't make it on walk day, you can still be a part of Steps for Life by planning "Your Walk". Join us and participate in the activity that suits you. You can participate as an individual or as a team. 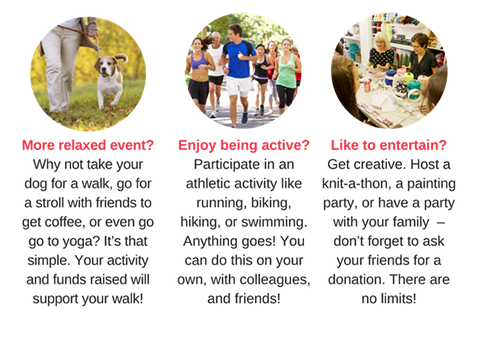 Plus you will be eligible for tax receipts, and fundraising rewards. Register and start planning your walk / event today! The money you raise will go towards Threads of Life programs that support the healing journey of families who have suffered from a workplace fatality, traumatic life-altering injury, or occupational disease. 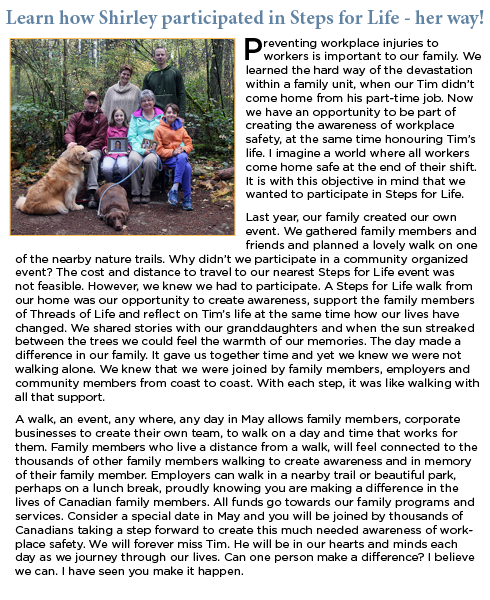 In fact, Threads of Life currently supports more than 2,800 family members across Canada affected by workplace tragedies.